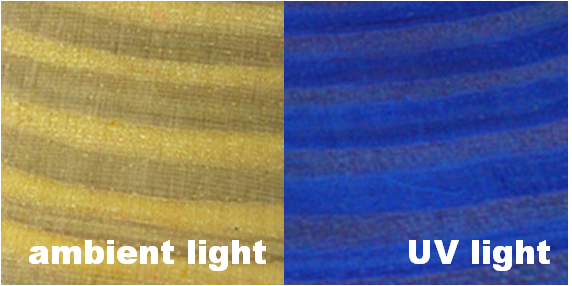 The Jet-Mate Wood Fluorescent Tracer is a unique dye specifically designed for use as a detection agent in the wood industry. This product is formulated to act as an invisible indicator for a variety of wood treatments yielding a colorless finish under ambient light but emitting blue fluorescence under UV irradiation. The fluorescence tracer detection method is ideal due to its user-friendly appeal, low-cost, and natural wood-grain finish.